Steel siding is a very popular option for Denver, Colorado, area homeowners for its incredible durability. With the constant freeze thaw cycles and intense UV rays that are characteristic of our high-altitude climate, you need a product that is engineered to stand the test of time. For that, you can turn to the trusted professionals at K&H Home Solutions. 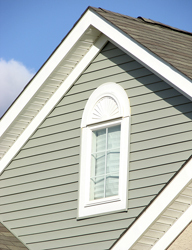 We have decades of experience installing premium metal siding on homes in the area and we would like the opportunity to put our expertise to use for you. What’s more, along with the lifetime manufacturer’s warranty, we offer an additional lifetime labor warranty on our steel siding to give you the ultimate peace of mind in your investment. You will be hard pressed to find a local competitor that offers that level of coverage for their products and services.